Jet Set Go is rated 4.3 out of 5 by 50. Rated 5 out of 5 by Tiffybearbear from One of my favorites I love this game so much I've played it 10 times at least. I really wish they would make more. It's so fun. Rated 5 out of 5 by Jacfrost from Love it! Love this game, I play it all the way through and then start again. My favourite TM right no and has been for a few months. I like how you play until you get the required meter filled. It's different from other time management games where you have to reach a certain score in each level. Lots of mini games too which mixed it up a bit. I liked them, though they did get on my nerves after a while because I was enjoying the agency levels. 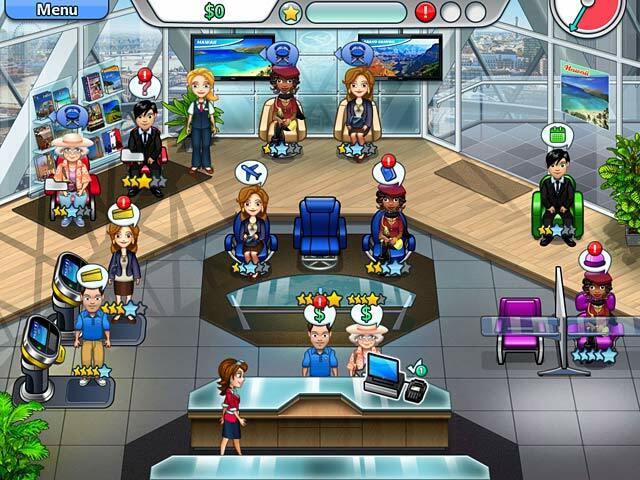 If you need more money to upgrade your agency then you just need to play again and your money increases every time. I work in travel so maybe that's why I'm obsessed with this but it's very addictive and lots of fun! I do like the concept of this type of TM. I'm hoping there will be a Jet Set Go 2 soon. 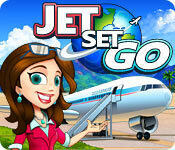 Rated 5 out of 5 by Deeisme from Jet Set Go is a GREAT GO Game! I tried this game and decided to buy it. WOW....I was so surprised how much fun this game, really is! 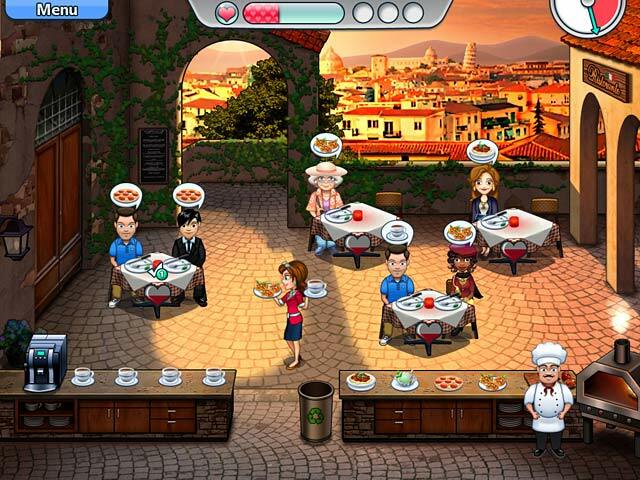 It is a game within a game with MANY mini games. I have to make myself get off this game and go do other stuff. Many people gripe about the game being too short, but thus far, I do not find that to be true, at all. Try it for the 60 min. of free play, but if you decide to buy it, like I did, you are in for a very fun surprise! If I could give this game a 10 star, I would be glad to do so! Try it and enjoy! Rated 5 out of 5 by azgal15 from Love the game, even with a small glitch I love playing this game, but twice when clicking on a customer to move them to another area, the customer just lingers there, I can't do anything with them, so I have to start over. This has only happened twice so far, but it's irritating when it happens. I still give the game five stars since it's fun to play. Rated 5 out of 5 by africanrose32 from its totally awesome Its challenging the levels are different and it keeps you on your toes. Love it!!! Rated 5 out of 5 by chinadoll012 from More Please! You're a travel agent helping others choose their vacation packages, but also, you travel w/ the vacationers to their destinations for mini-TM games. Each main city, it's the same as the previous but w/ additional features and extra challenge. Classic TM gameplay. Not much of a story, but I usually don't play TM games for the story. If you're an old school TM gameplay lover, such as myself, definite buy! Rated 5 out of 5 by Yaelle from Great TM Game! I had the best time playing this. I don't know what I can say that hasn't been said already, just wanted to add my voice to those who recommend Jet Set Go. I can see myself playing it again soon. It has a lot of different types of challenges or gameplay types in it. For those who dislike timers, this will make you happy. (I prefer timers, but even still enjoyed this game.) If it had the ability to get gold stars/expert on levels I'd be super psyched. Rated 5 out of 5 by PistolPoet from A great TM mash-up! This is not your average time-management game. At first, it is reminiscent of Sally's Salon, in that you're in charge of a travel agency and you have to take care of customers by dragging them from station to station and fulfilling their needs. But then you also get to go to their trips with them, and there the game adds other elements, so it feels like a totally different game. It really is an all-round TM experience, and with lovely graphics and a few special achievements, it is definitely a great choice. Plus, it feels completely casual as there is no timer, so you can play it at your leisure and take your time. Rated 5 out of 5 by sam104 from Very fun game!!!! It is very fun.I love travelling!! !This game is very fun for people who like travelling.I love it!!!! !